Soft Strips of moleskin applied to hypoallergenic sticky tape. Great for reducing clothing rustle and camouflaging microphones. 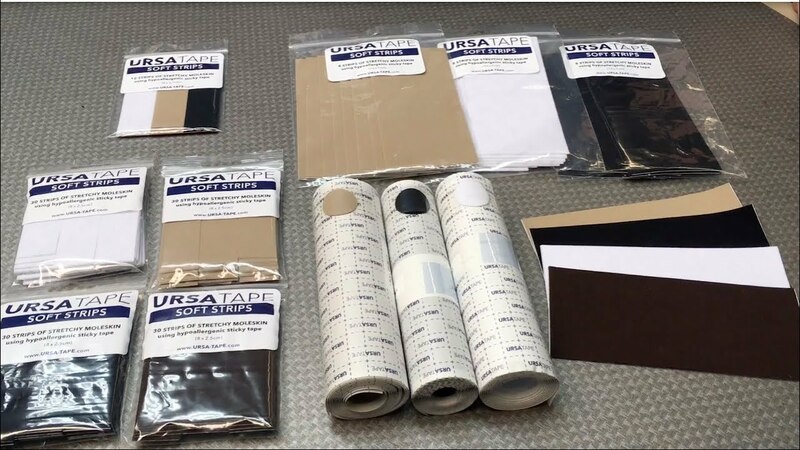 URSA Tape Soft Strips are also available in a pack of 8 x Big Strips in Beige, White, Black and Brown. (16cm x 7cm). You can use URSA Tape Soft Strips in a tie rig to stick down the cable and also provide padding for the microphone capsule. URSA Tape can be applied to a mic to stick directly to skin. URSA Tape is also handy for covering over things that might rub and irritate artists. Hide your mics in shot by camouflaging your DPA Concealers with URSA Tape. Simply cut a wide oval from a strip of URSA Tape and cover it over your concealer. Our Black URSA Tape is a jet black and hides perfectly in the shadows. It also has a woven fabric effect which helps it blend in with knitted fabrics. 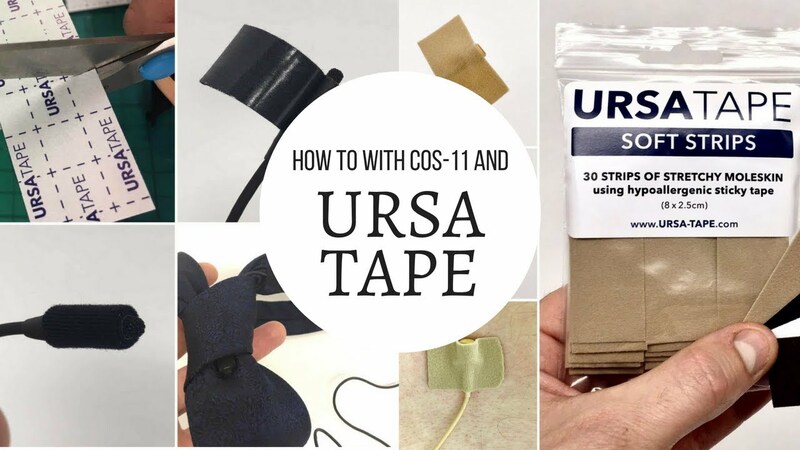 You cannot tear URSA Tape so scissors must be used to cut it to shape. We have printed dashed lines on our backing paper to illustrate 1cm squares, we hope these can help you cut in strait lines! "URSA Tape saved the day when I was working on a pilot this past spring. The main actress was having a slight allergic reaction to the superstick, so I changed it with URSA Tape. Since then I’m always happy to tell talent that I have a hypoallergenic adhesive to wire them!" "I love the convenience of the URSA Tape Soft Strips and use them a lot for quietening down noisy mic placements." "URSA Tape was perfect to significantly reduce the rubber - to rubber screech on the door of a bus we were filming on!" "Needed a quick plant for picking up the male actors lying on the edge of the bed while the boom was busy on the upper frameline. Thanks to URSA Tape and Foamies it was done in a minute."